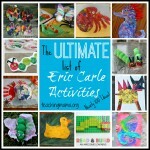 What little child doesn’t love an Eric Carle book?! 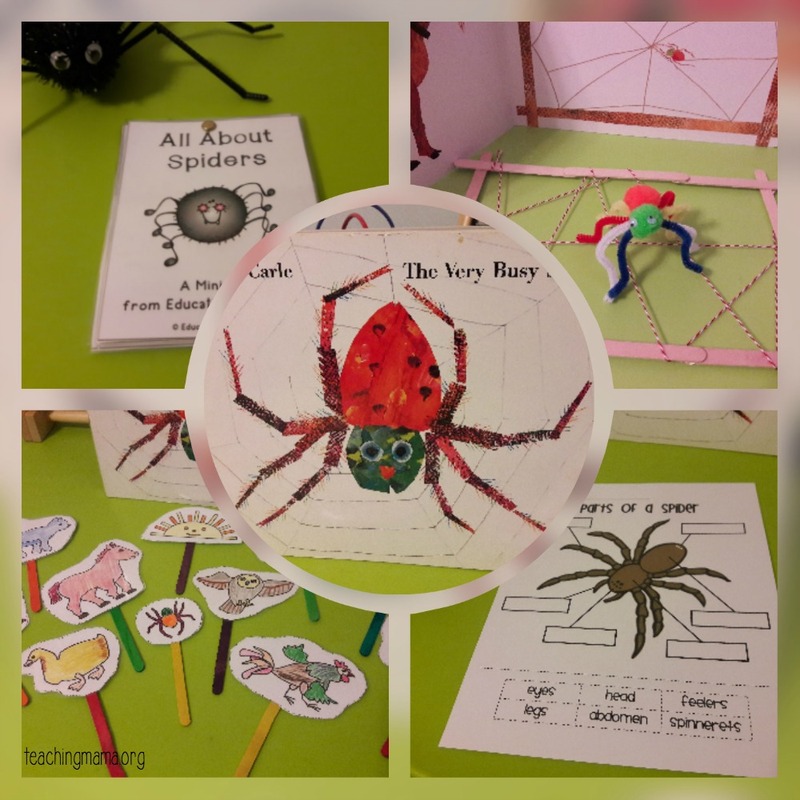 The Very Busy Spider is a super fun book that can be used to learn about spiders. 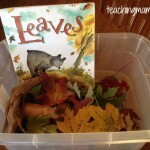 I am going to show you how to use it and cover geography, literacy, theatre arts, math, science, art & crafts, fine motor skills, and hand & eye coordination activities. You can also discuss the importance of being a hard worker and finishing your work before you go play as seen demonstrated in the book by the very busy spider. 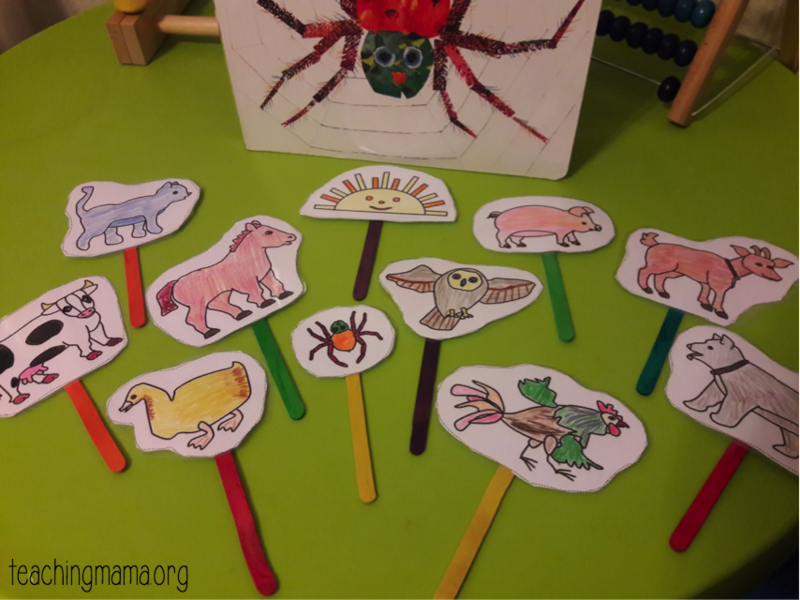 A fun way to read through the book is to use stick puppets. 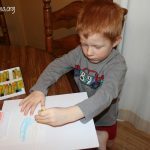 All you need is some craft sticks, card stock, crayons or color pencils, glue, scissors ( you can get all from the dollar store) and this FREE printable with all the characters from the book. After your little one colors each character, just cut out and glue to your craft stick. 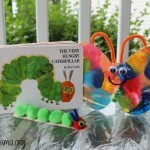 As you read the book have your little one hold up the character that is speaking as you read. Since you’re talking about a spider, you can learn about the parts of one. Grab this free printable for an easy science lesson! Also for a 3D spider to use with this lesson, check out the Halloween department at your local dollar store. They are full of them. 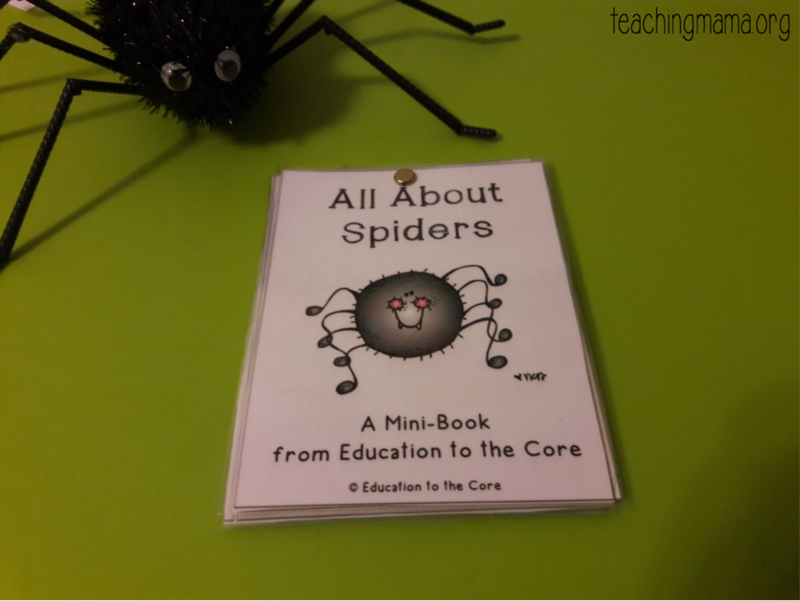 To go along with your science lesson grab this free mini spider book printable. It teaches cool facts about spiders, for example I learned that there is only one place on earth where there are no spiders! The very busy spider was busy spinning her web on a farm gate. You can recreate this fun scene form the book. 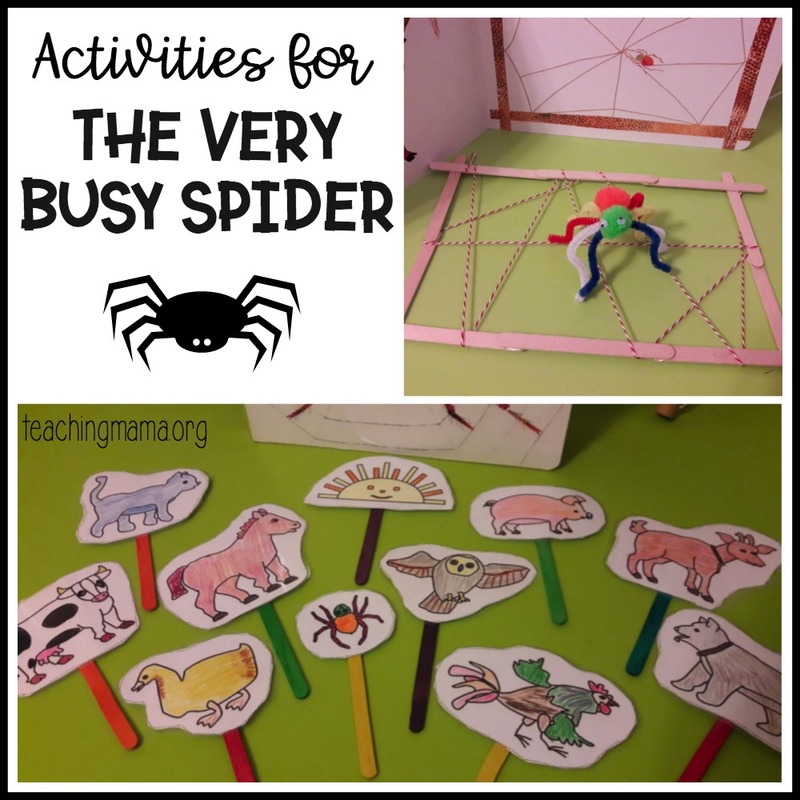 For this activity you will need craft sticks, hot glue gun, and yarn (preferably white) for the farm gate and spider web. Use 2 pom poms, pipe cleaner, small googly eyes to make a spider or use a small toy spider. 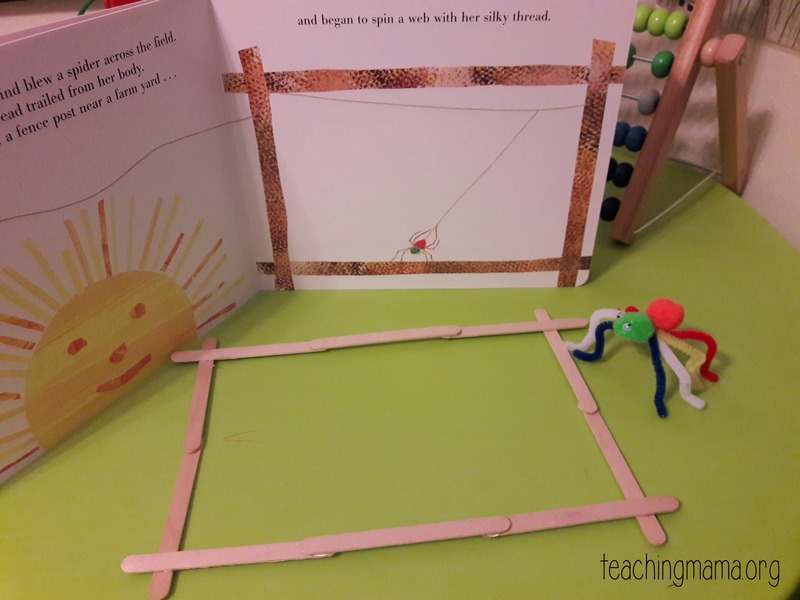 Glue the craft sticks together to make a similar gate from the book. 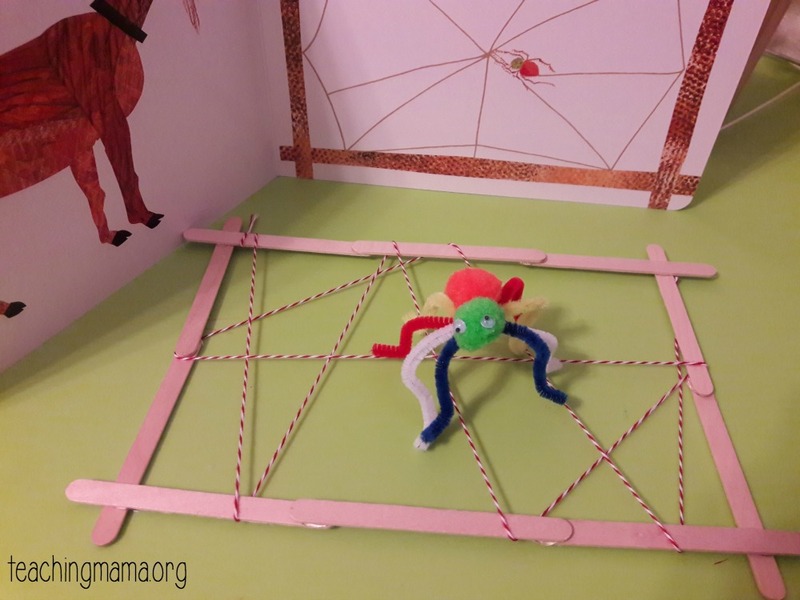 Let your little one make their own web with the yarn on the farm gate you made. Just tie it to one end of the gate and let them begin. I didn’t have any white yarn so I used some twine I had on hand. 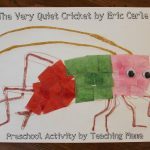 Using poetry is a great way to help aid your child’s literacy. 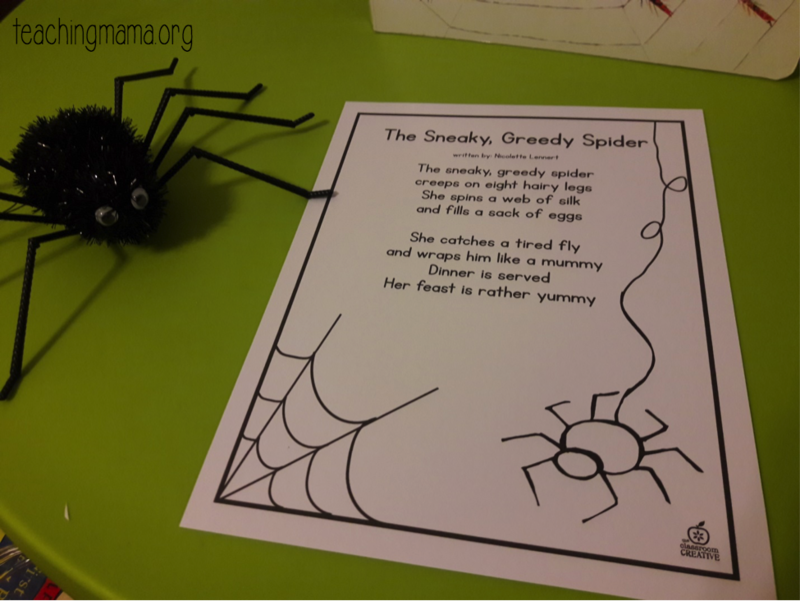 Use this FREE poem about spiders in this autumn poem bundle. This is great for memory work too! For geography and math, take a trip outdoors. Your backyard, a local trail, or outdoor nature center are all places your little one can search for spiders and spider webs. Count and record how many they find, discuss how they are the same and different. These activities can be spread out over the course of a week, and I encourage reading the book before each activity. 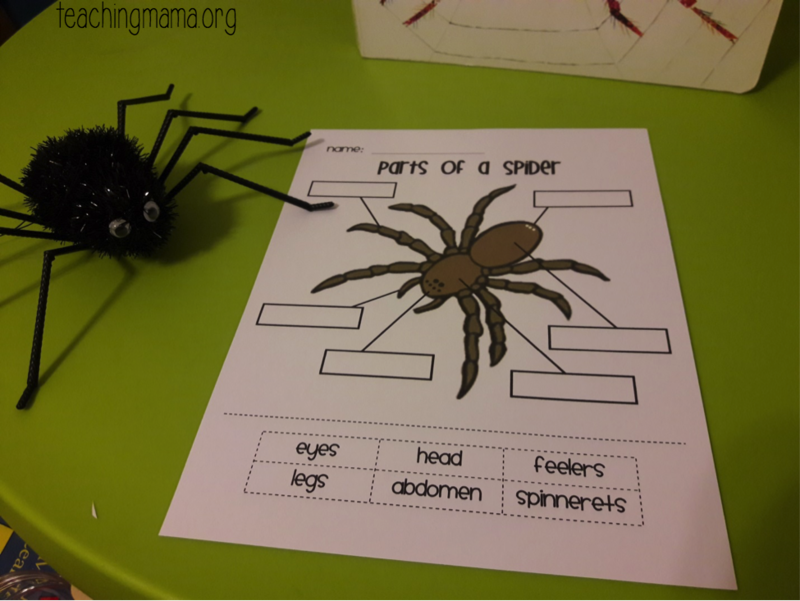 Have fun learning about spiders! 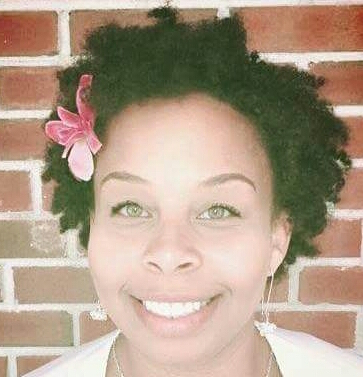 BIO: Melissa A. Johnson is a devout Christian, wife to Jeremy, and mother of 1 toddler girl, Brianna. She holds a Bachelors of Science and a Teacher Certificate. Melissa is currently a Pre-K & Kindergarten teacher and resides in Houston, Texas. 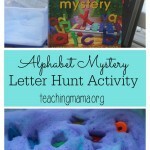 She loves to create preschool activities for her daughter and cook!